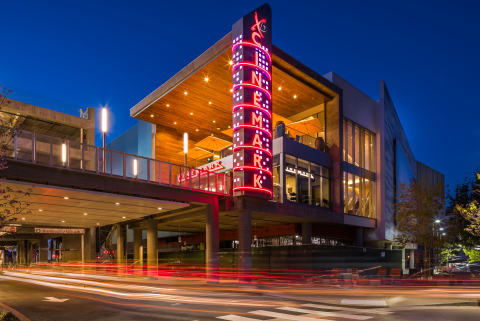 PLANO, Texas--(BUSINESS WIRE)--Cinemark Holdings, Inc. (NYSE: CNK), a leader in the motion picture exhibition industry, today announced the launch of Movie Club, a unique monthly movie membership program. 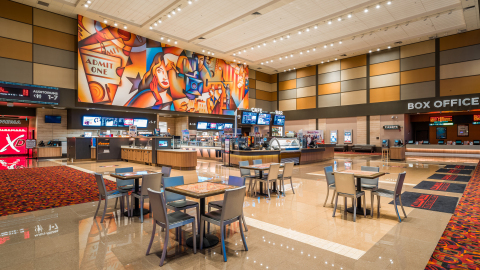 The first program of its kind, Movie Club offers ticket and concession discounts along with many other exclusive benefits. Moviegoers can instantly join and begin taking advantage of their benefits through the Cinemark app or by visiting www.cinemark.com/movieclub. 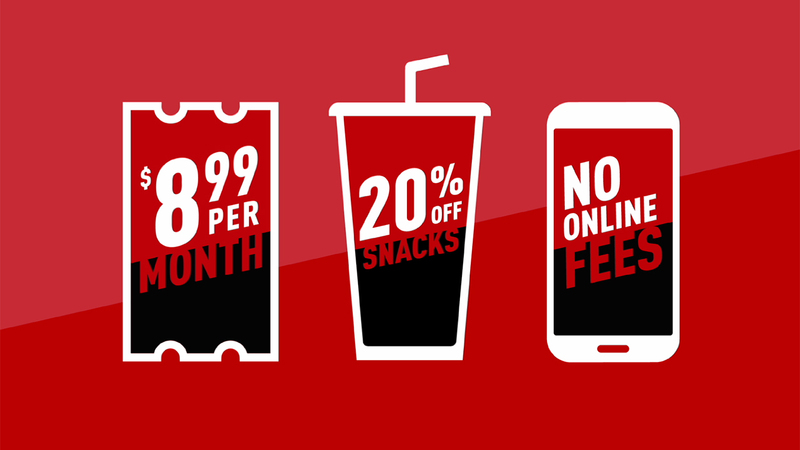 In developing Movie Club, Cinemark conducted extensive consumer research and studied the best subscription program models, both in and outside of the entertainment industry. Throughout the research process, consumers resoundingly preferred a monthly membership program with ticket rollover benefits that allows them to accumulate credits, reserve their seats in advance with no online fees and enjoy significant discounts on concessions. Movie Club is accepted at all Cinemark locations across the nation, including Century Theatres, CinéArts, Tinseltown and Rave Cinemas. To join, visit www.cinemark.com/movieclub or download the Cinemark app in the Apple App Store or the Google Play Store. Movie Club members can easily reserve and purchase their tickets in advance without any fees through the Cinemark app or online. Purchased tickets will populate through the app for quick and easy scanning at the movie theatre. Cinemark will host a conference call and webcast at 9 a.m. ET on Tuesday, December 5, 2017. 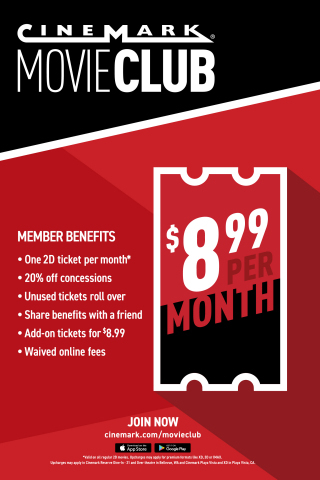 Cinemark Movie Club, a monthly in-theatre membership program with exclusive benefits, is now available across the U.S. at www.cinemark.com/movieclub.